If you worked with SCCM or VDI solutions you may already know that creating & managing system images is a painful task. 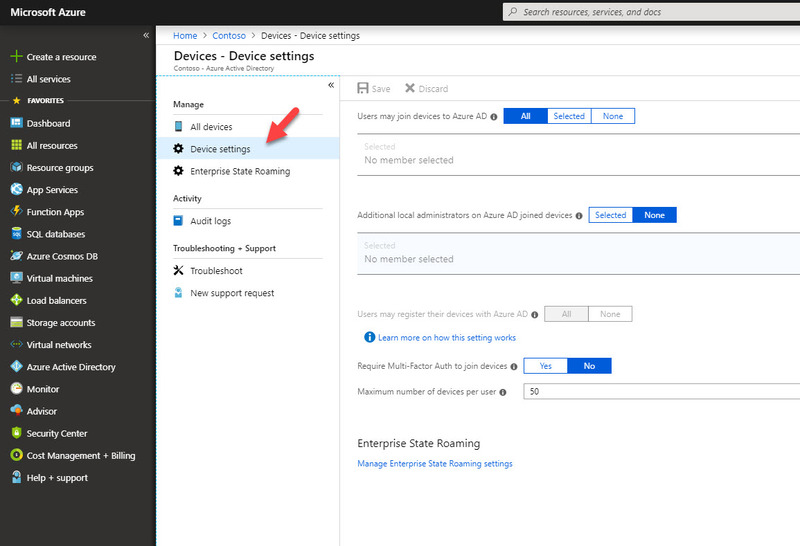 If you are using Microsoft Intune as your MDM solution, we can use Intune & Windows autopilot feature to enroll & prepare device for the production use without worrying about re-build or applying custom operating system images. Windows autopilot is a windows 10 feature which can use to pre-configure, reset, repurpose, recover devices. In this demo I am going to demonstrate how to prepare & enroll windows 10 device in to Microsoft Intune using Windows autopilot. In my demo environment, I have windows 10 enterprise virtual machine with latest windows updates. Let’s see how we can enroll it to Azure Intune with Autopilot. 3. 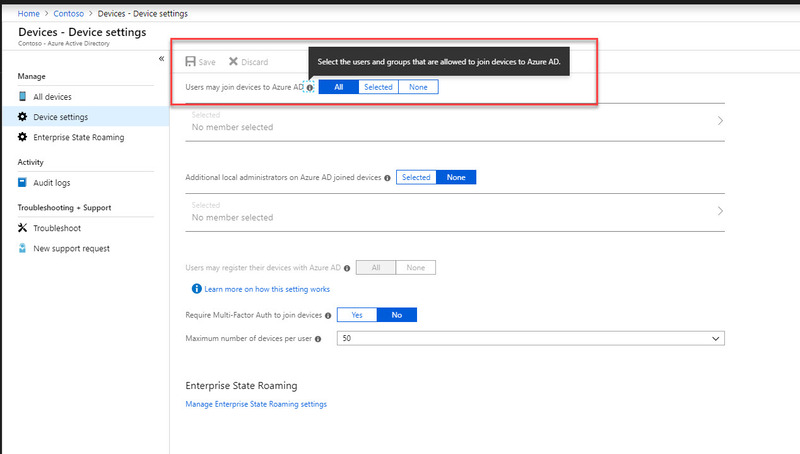 Check settings under Users may join devices to Azure AD, if you have selected users or group, make sure you going to use those accounts for the enrollment process. in my environment I allow All. 4. 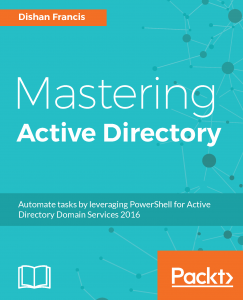 Then go to Azure Active Directory | Users. Then go to the user you going to use for the enrollment and verify relevant licenses are assigned. 5. In order to import devices, we need find out serial numbers, Windows product IDs & hardware hashes. To do that log in to your windows 10 machine and install following script. Then we can create CSV with relevant info. 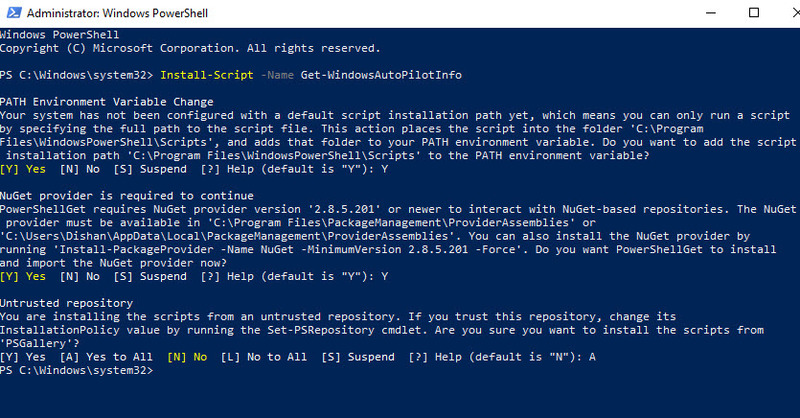 You also can download script from https://aka.ms/Autopilotshell and install manually. MVP for Last 5 Years!